Download "EXAM PREP COURSE. 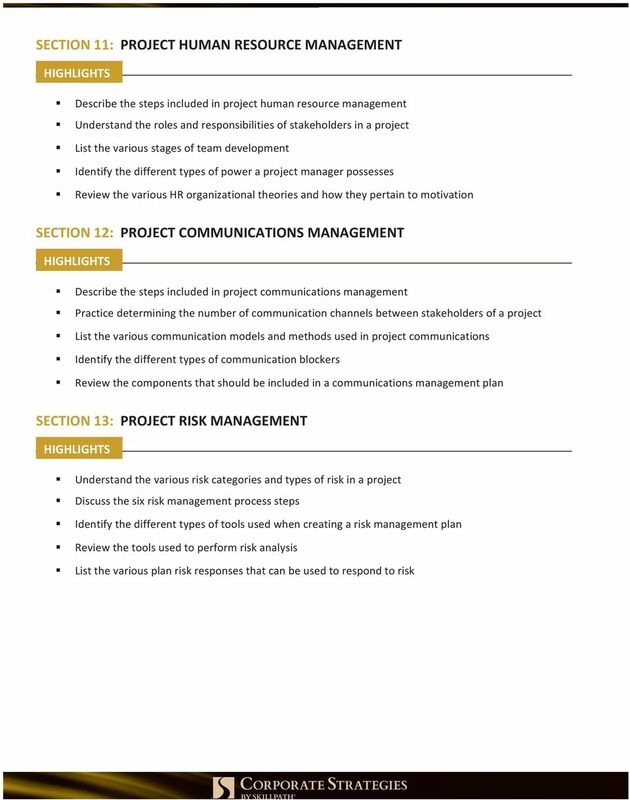 Course Overview. Course Objectives. 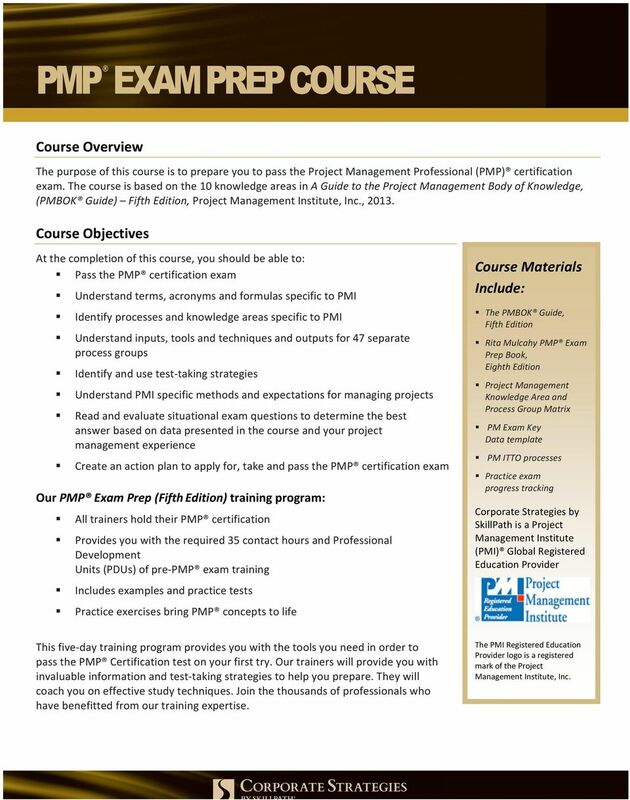 Course Materials Include: Our PMP Exam Prep (Fifth Edition) training program:"
1 PMP EXAM PREP COURSE Course Overview The purpose of this course is to prepare you to pass the Project Management Professional (PMP) certification exam. 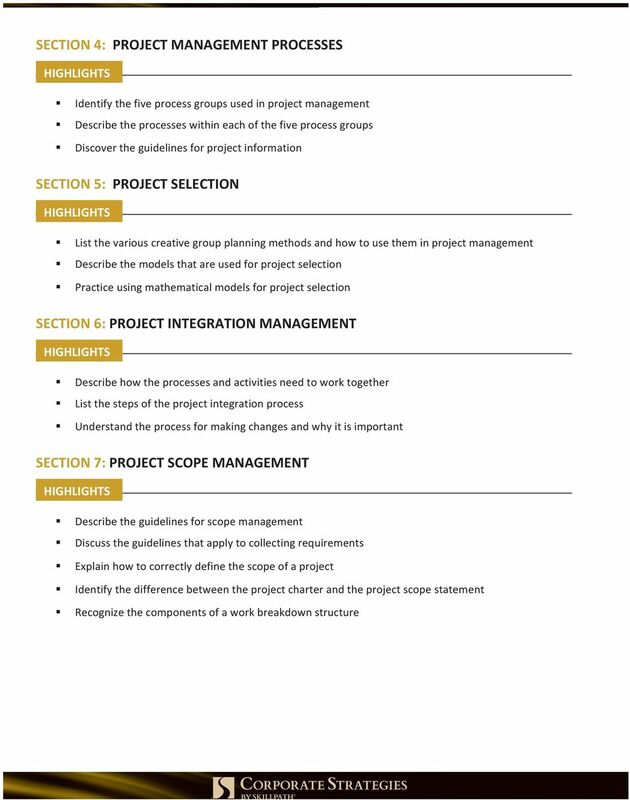 The course is based on the 10 knowledge areas in A Guide to the Project Management Body of Knowledge, (PMBOK Guide) Fifth Edition, Project Management Institute, Inc., Course Objectives At the completion of this course, you should be able to: Pass the PMP certification exam Understand terms, acronyms and formulas specific to PMI Identify processes and knowledge areas specific to PMI Understand inputs, tools and techniques and outputs for 47 separate process groups Identify and use test- taking strategies Understand PMI specific methods and expectations for managing projects Read and evaluate situational exam questions to determine the best answer based on data presented in the course and your project management experience Create an action plan to apply for, take and pass the PMP certification exam Our PMP Exam Prep (Fifth Edition) training program: All trainers hold their PMP certification Provides you with the required 35 contact hours and Professional Development Units (PDUs) of pre- PMP exam training Includes examples and practice tests Practice exercises bring PMP concepts to life Course Materials Include: The PMBOK Guide, Fifth Edition Rita Mulcahy PMP Exam Prep Book, Eighth Edition Project Management Knowledge Area and Process Group Matrix PM Exam Key Data template PM ITTO processes Practice exam progress tracking Corporate Strategies by SkillPath is a Project Management Institute (PMI) Global Registered Education Provider This five- day training program provides you with the tools you need in order to pass the PMP Certification test on your first try. Our trainers will provide you with invaluable information and test- taking strategies to help you prepare. They will coach you on effective study techniques. Join the thousands of professionals who have benefitted from our training expertise. The PMI Registered Education Provider logo is a registered mark of the Project Management Institute, Inc.
Project Professional (PMP ) Welcome to the presentation on Project Professional (PMP ) certification from the Project Institute (PMI ) PMI, PMP and PMBOK are registered marks of Project Institute, Inc.
PS Consulting. Certification. 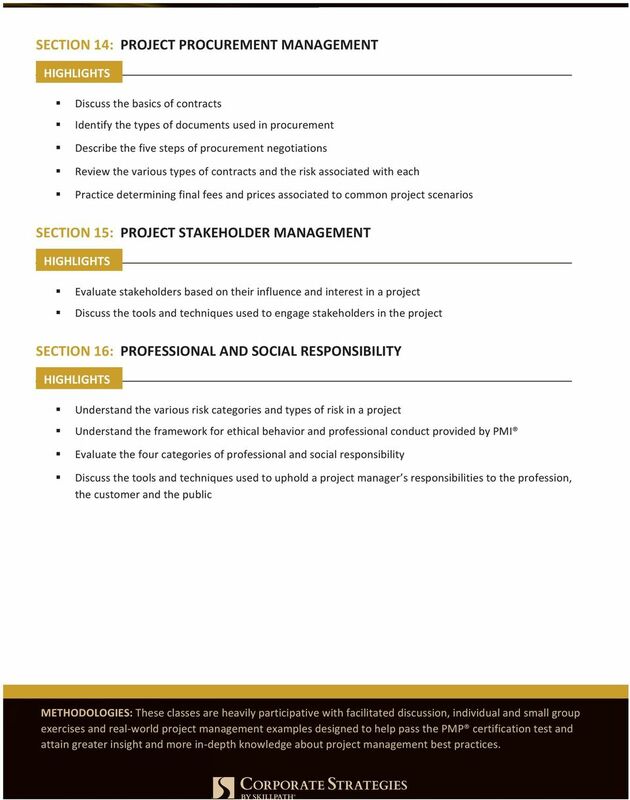 Project Management Professional (PMP ) Certification. Then we are the right partner for you! Kn wledgelite. Learn Here, Lead Anywhere. Project. 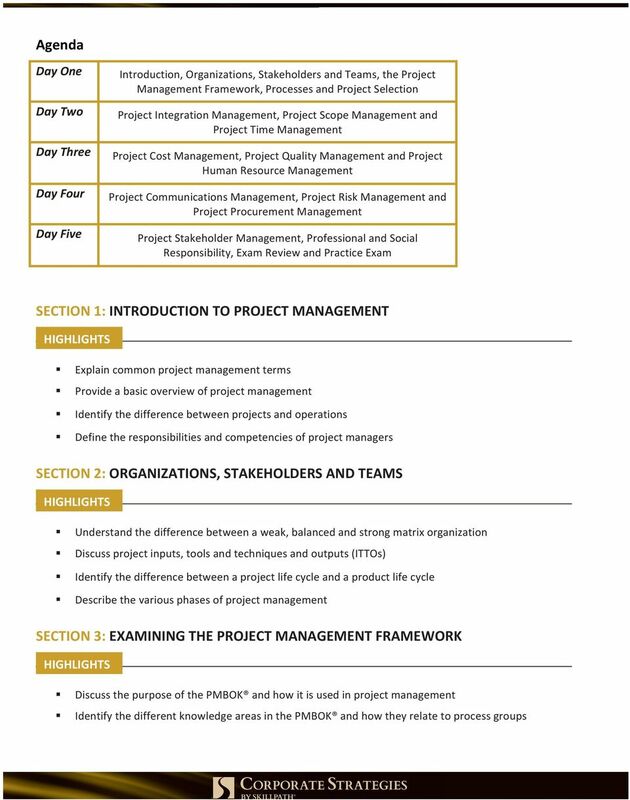 Management Professional 5TH EDITION (PMBOK 5) CONTACT : support@knowledgelite. Project Management. Give your project teams the competitive edge. 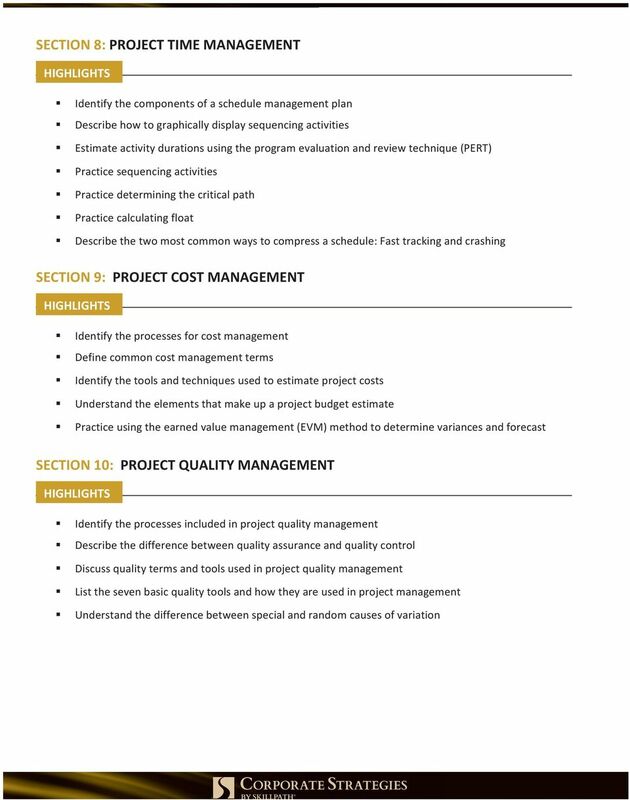 Why get qualified as a Project Manager?